Litigation between ConnectU and its former lawyers at Quinn Emanuel was providing a glimmer of hope for everyone hoping to get a peek at Facebook’s potential stock price value (and that’s pretty much everyone). The background: ConnectU accused Facebook founder Mark Zuckerberg of basing Facebook on ideas he stole from them when working with the ConnectU founders and filed suit against Zuckerberg in 2004. 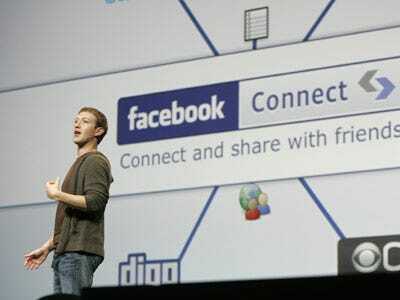 The resulting 2007 settlement, largely based on Facebook stock, was valued at $65 million. Quinn was working under a 20% contingency fee agreement, The New York Law Journal reported, that was based on a the settlement amount, and ConnectU now says the valuation from the time of settlement was too high. Quinn wants $13 million (based on a $36 Facebook share price), but ConnectU is now saying the settlement is worth much less than $65,000,000, as the shares should have been priced as low as $7.75. Quinn and ConnectU are currently in arbitration, and ConnectU wanted to obtain Facebook’s private share price data to help prove its case. The arbitration panel issued subpoenas to Facebook, its financial advisor and Microsoft, which invested $240 million in Facbook in 2007. Those parties refused to provide the documents, and ConnectU filed a motion to compel. Last week, a New York state court judge denied the request, noting they were non-parties to the arbitration. While this back and forth is exciting, arbitrations are not public and thus, even if the information had been turned over, there’s a great chance we would have never seen it anyway. Read the NYLJ’s full report here.